Because of the marathon weekend it was very busy, there were a lot of people lining up and waiting for a table/takeout. They still handled everything great, the food (both pizza and pasta) was amazing and fast, would definitely recommend. Always good, always crowded and buzzing. We don't mess with anything other than the pizza which is always superb. Loved it here so much we came back twice in one week. If I lived in Boston it would be a regular stop. Had the calamari and the Oliver pizza. Wish I didn’t have a flight the next morning so I could have kept the leftovers. Wonderful selection of pizza - they're large so best shared. 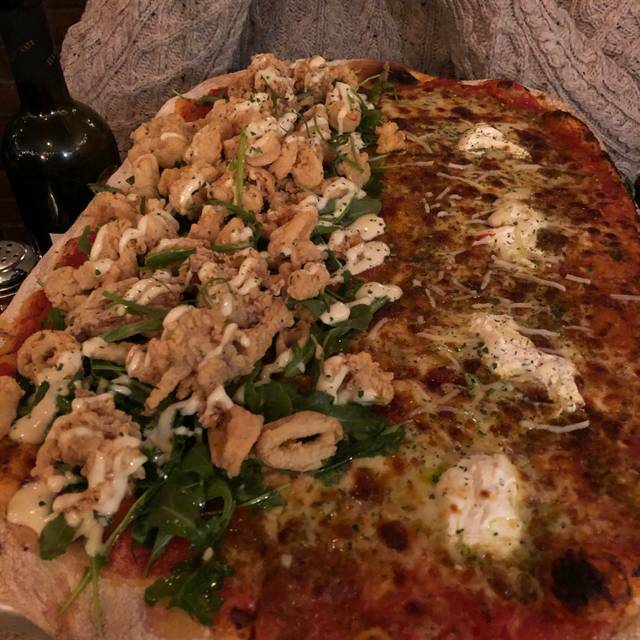 If you can't decide, you can split the pizza with two different types. Nice wine selections - both by bottle and glass. Can be quite noisy if there is a large party (6+). We ate at Figs twice during our stay in Boston. The first time was focused on pizza and our choices of calamari and hot peppers for one and prosciutto, arugula and gorgonzola for the second were amazing. 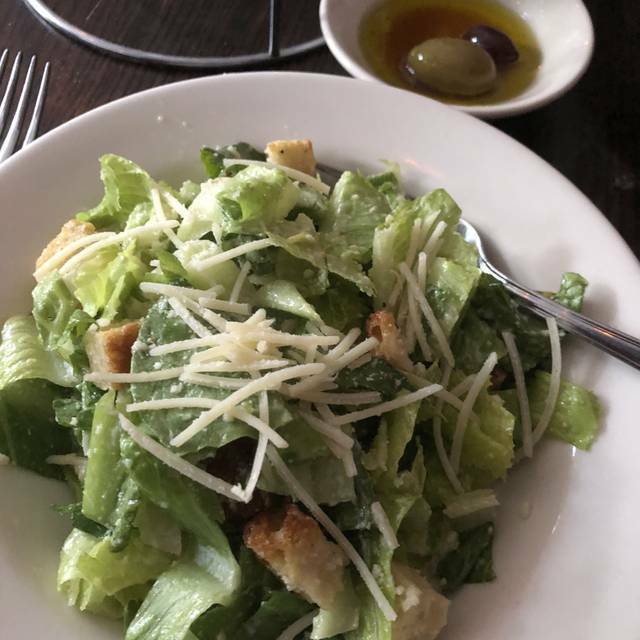 The second visit was for the pasta and both our dishes were mediocre at best. While the pasta was properly cooked, the saucing for each - one a bolognese and the other a carbonara - was weak and lacked balanced flavor. Loud, but hopping atmosphere and very nice staff. Eating at the bar is a little less noisy and a nice set-up. Never a bad experience!!!! Figs does not disappoint! Delicious good every time! Great pizza and service. Cozy place - a little claustrophobic for some. Love the Red Sox and Mushroom pizzas. Ambience is always cozy. Restaurant is very small though so expect to be in close proximity to your neighbors. This place is a tiny Italian gem. Expect it to be packed and noisy. The service was friendly and excellent. The pasta and pizza is yummy. The wine is very well priced and well chosen. Casual and funky and a ten! I love this place, especially the pizza. However, the service has gone down terribly. Last time a worker screamed from the back “get out” when they were closing down. My friend and I had a wonderful time at Figs! The food was delicious as usual and the service was exceptional. The challenge for this Figs location is the noise level. It makes it hard to have conversation. The pizza is of course very good. But I had their eggplant parm - something I try almost every time it’s in a restaurant menu. I won’t be ordering it at Figs in the future. It was essentially a couple slices of eggplant over a lot of pasta. Not want I was expecting. Service was very good, however. My boyfriend and I really enjoyed Figs! We arrived a few minutes prior to our reservation and they seated us right away. The food was delicious. The service was very professional. We cannot wait to go back and try more of the menu. Highly recommend! Loved it. Must look past the size and focus on the other qualities such food and people. Their pizza is amazing! Try the fig & prosciutto (I'm vegetarian and get it without the prosciutto, and it's still delicious). Best gourmet pizza in Boston!! We have coming here for years and no one makes a thin crust pizza like Figs! We just moved back to Boston after a decade in NY. 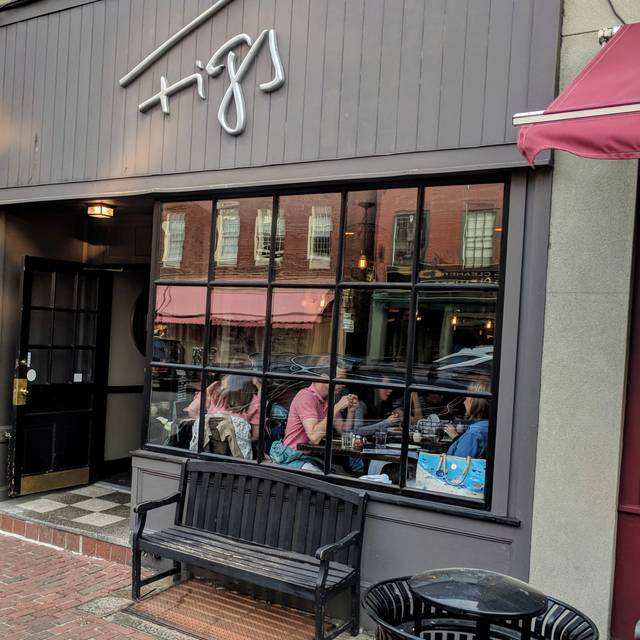 Met at Figs on Charles St after work because we had enjoyed the Charlestown spot in the past. The Charles St spot has a very small dining area that is fairly cramped. We asked for well done fries with our drinks but the kitchen sent out fries that were almost under done. Pizza was OK. The kitchen was able to make a veg topping without any cheese but there was a lot more crust and less topping than most restaurants serve. The crust was also doughy and thick. The wine list, albeit limited, does have some interesting and reasonably priced selections. Overall, there are better options for a week night dinner out in the Beacon Hill area. The food was good, but might not be worth the noise and close quarters of the restaurant. Tables are about 6 inches apart and it is really hard to make conversation because you can hardly hear. The pulled chicken pizza was excellent. The service was really bad. I made a reservation for 6:30pm for 2 people, yet I wasn't even seated until close to 7pm. Then it took forever just to order a drink, our table was crammed up next to a wall right by the entrance so there were constantly people everywhere. The food was very good but I wouldn't go again if the service is going to remain this poor. I would either go at an off time or not at all. Also, the restaurant is VERY small. It felt like we were packed in there like sardines. Very disappointed! The food is amazing. Unfortunately, the kitchen was broken. They were only serving pizza and salads due to the kitchen. We had a wonderful time and it was very quite and was beautifully decorated for the holidays. Will definitely be back for their pasta and appetizers. It was a disappointment. One entree came out 15-20 minutes before the other. There were just two of us. Not good, just not good. Used to love it — disappointing. Very little space to wait for our reserved table, otherwise everything was excellent. We really enjoyed our meal and entire experience, especially the friendliness of our server. Intimate atmosphere with great food. So good for dinner that we went back the next day for lunch to try their spectacular wood fired pizzas (which are offered for dinner) Charles Street couldn’t be any cuter, did a little walk after. Highly recommend for any occasion..
We went for dinner. Restaurant is very small. Tables were so close that servers couldn’t get by without bumping the tables. One server knocked glasses off the table and they shattered. Food was good but service was only ok.
Everything was amazing! Only reason I did not give it 5 stars was we had a reservation and still had to wait 40 minutes. Definitely worth the wait though! We had a reservation for 7pm and were not seated until after 7:40pm. Unclear why they take reservations if they don’t honor them. After asking several times, they did comp an appetizer to make up for it. Recommend the pizza and takeout. 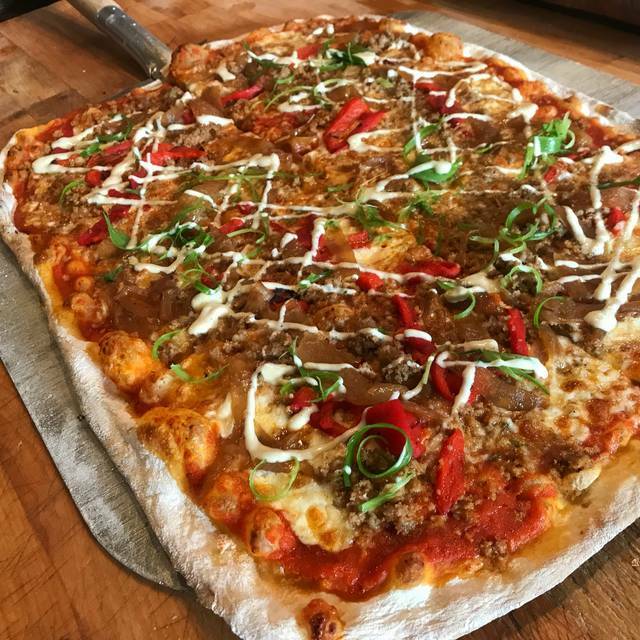 Figs is a great spot in Beacon Hill for pizza. Crispy eggplant is great! The tables are close together, and the restaurant is loud. Is tough getting up and down from your table without interring with others. We had a fig and prosciutto pizza, and it was very bad. Who would think of putting a super sweet fig preserve on a pizza?!!! The fig preserve belongs in desert and with cheese. 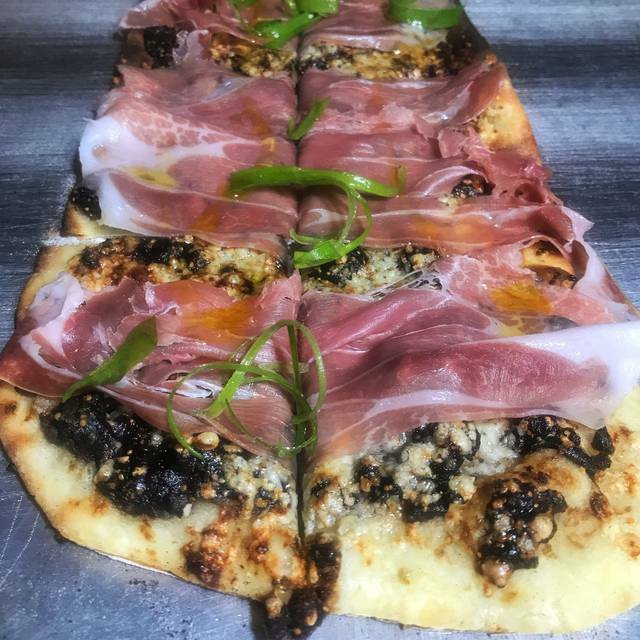 At least there should be an honest name to this pizza: Fig jelly and prosciutto. The place is really tight, too many tables stuffed in a small space, so not really comfortable. Everything was really very disappointing. Pizza had a tiny dollop of ricotta per slice, and the sausage topping and no flavor. The calamari was mostly breading. This is just the best pizza i have ever had. Outstanding. Its not traditional. Rather it is free form but man is it tasty! Fantastic experience. Service was perfect—attentive and friendly but not overbearing. I love the Beacon Hill location—cozy on a chilly late autumn night. We split a bottle of wine and ordered a pizza. 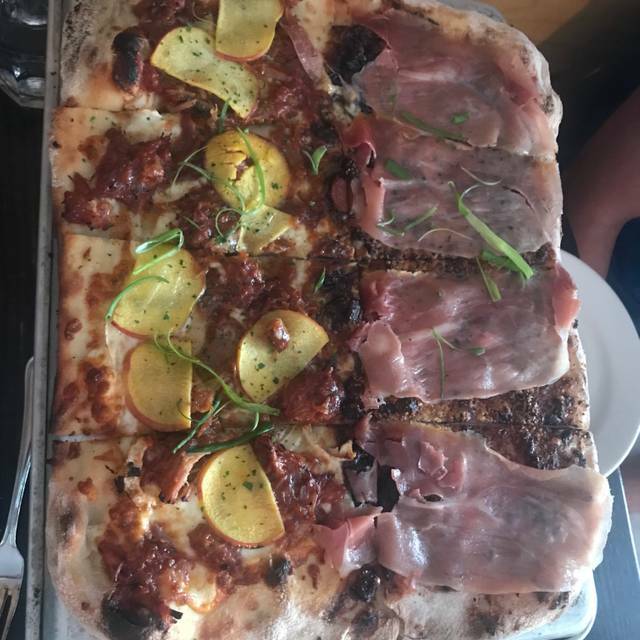 You’re able to do half and half, so we ordered the fig and prosciutto for one half and portobello mushroom for the other. Highly recommended! Good food for a reasonable price in one of the most charming nieghborhoods of Boston. Great food and surprisingly good sized portions! The calamari appetizer was larger than I was expecting, and the pizzas are not personal sized but about a whole sheet pan instead. It's definitely a small space and a very popular option, so make sure you make a reservation or you'll be in for a long wait. Pizzas are delicious. 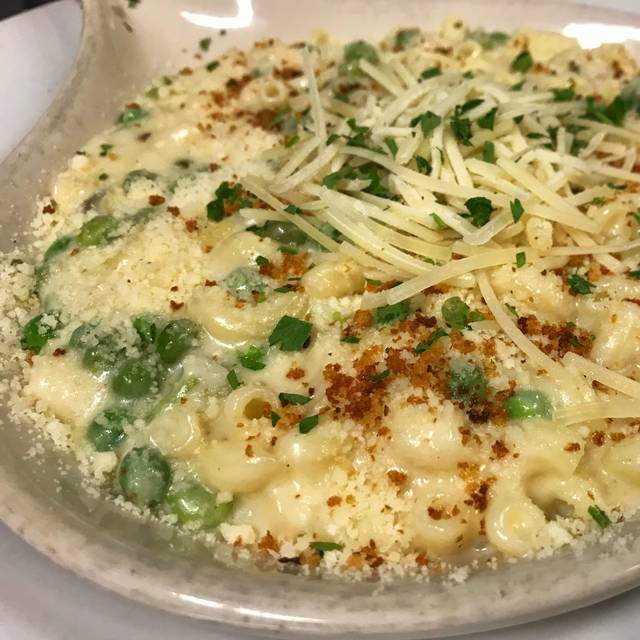 Get one for table and a pasta dish to share. Very crowded and loud but food and service offset cramped quarters. 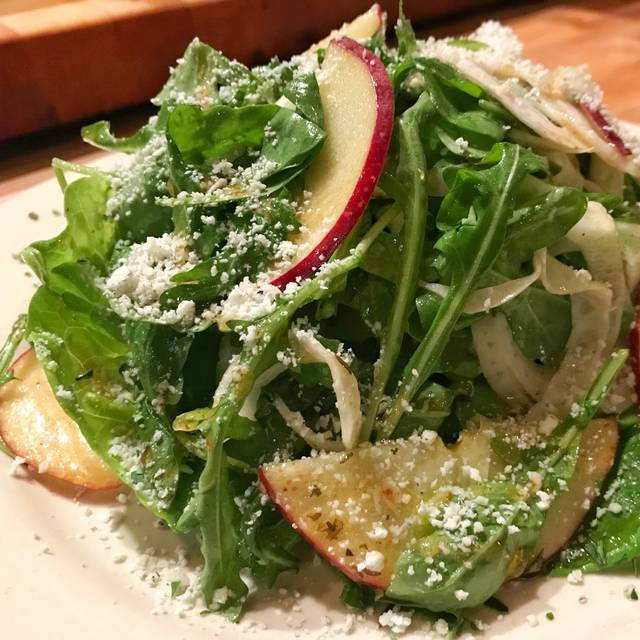 We loved our salad, which was the evening salad special, combined with our Fig and prosciutto pizza. Service in this small neighborhood establishment was friendly and timely. Food was great as usual, service was not fantastic this time around.